I’ve yet to have 1 completed block but I’ve been slowly putting bits together between other projects. Nothing used and nothing added. This week I spent another $67 on thread, pens, etc. for a total of $3264.05 for the year. Love the flower block, looks good on the plaid. I like your little wool block, and your Celtic Solstice is coming along nicely. Keep up the great stash busting! Your stitched garden is coming along beautifully! 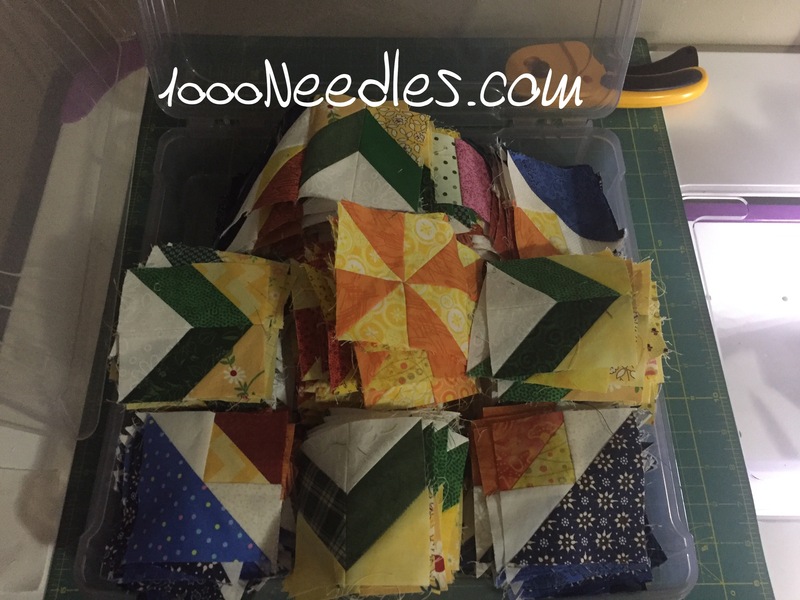 Enjoy your slow stitching today! Looks like you are making great progress on Celtic Solstice. Once you have all the parts done… the blocks go together pretty quickly. 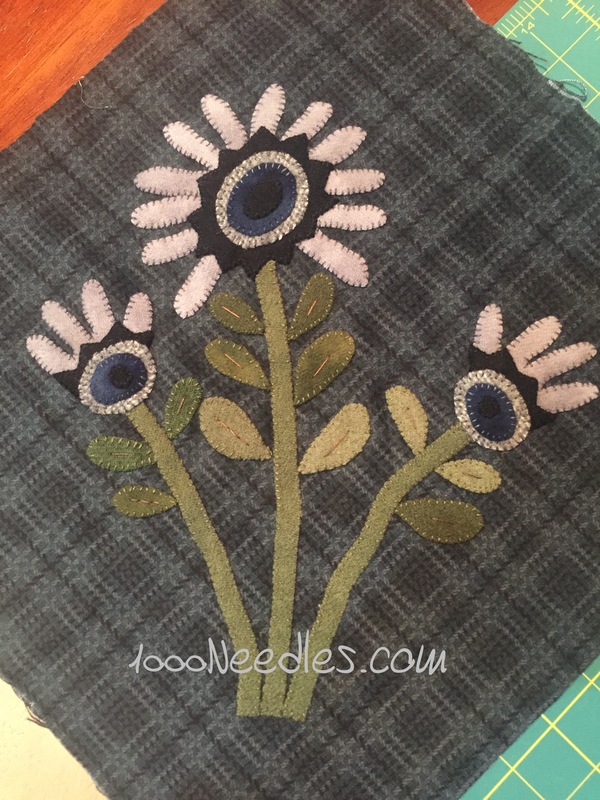 Beautiful applique block.